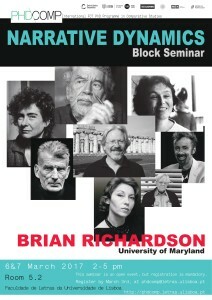 This block seminar on narrative dynamics will deal with some key issues in narrative theory and consider some late 20th century literary narratives. The first day we will explore the limits of narrative: how best to conceive of narrative, how to define it, and what the limits of narrative are. 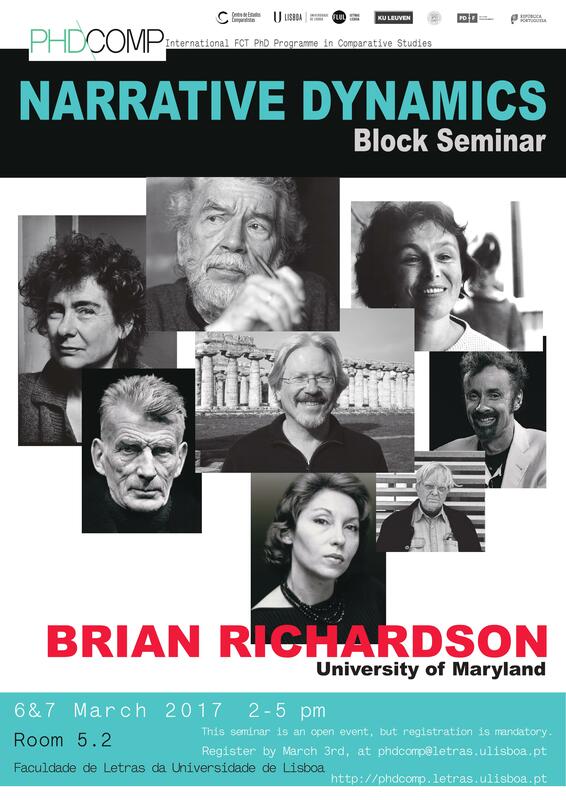 We will look at some very short texts by Samuel Beckett, Alain Robbe-Grillet, and/or Clarice Lispector to see precisely how they play with the boundaries of narrative and what the consequences of this play are and which definition of narrative proves to be the most useful. On the second day we will explore narrative progression, the movement from beginnings through middles to endings. Is Said correct when he asserts that the choice of a beginning determines much of what follows? Or is Peter Brooks right when he states that the ending of a narrative determines everything that leads up to it? We will explore experimental forms of narrative sequencing and discuss unusual and unnatural endings. This seminar is an open event, but registration is mandatory. Please register by email (phdcomp@letras.ulisboa.pt) by March 3, 2017.